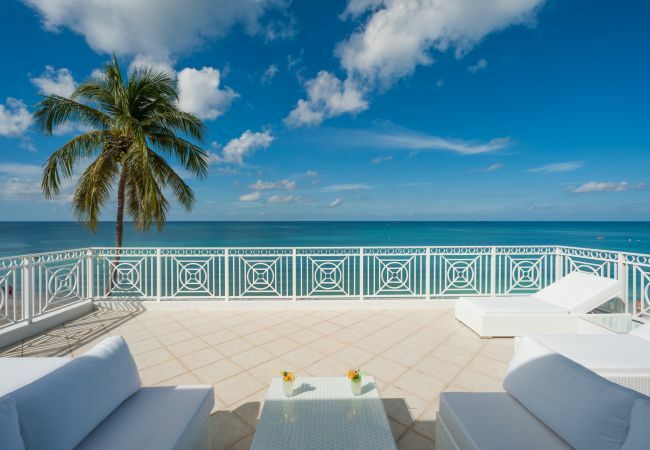 Ocean front condo located at the heart of 7 Mile Beach! Newly renovated 3rd floor direct ocean view condo with 3 bedrooms (2 King beds, 2 Twin beds) and 3 bathrooms. Large families can take advantage of the extra queen sleeper sofa available in the living room.